Guest post by the innovative Paul Kilpatrick. 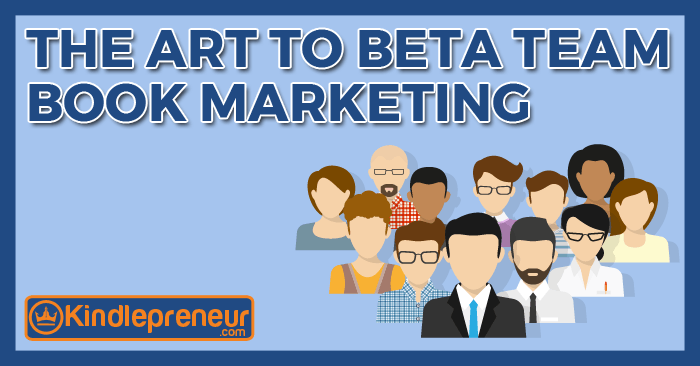 There’s a way that you, as an author, can quickly build a promotional team that will not only help improve your book, but improve your book launch as well, and that’s called a book beta team. What is a beta team? It’s when you let a pre-approved group of people read your mostly-finished book to discover issues that are revealed during the course of normal reading. And while that sounds like free editing – which in a sense it is – it can also be a tool to really help launch your book with the type of momentum that you see only reserved for the savviest of self-publishers. But, getting people to join your Beta team, and even organizing them is a royal pain. You may be asking yourself, what is a Beta team? Isn’t it just an Advanced Review Copy (ARC) team? Yes and no. An Advanced Review Copy team is a group of people you give your finished book to before you publish, hoping that they read it and are prepared to drop a legitimate review the day you launch the book. That way, you start off with glowing reviews – which really really helps. A Beta team is basically a free book editing group of individuals that ultimately turns into an ARC team if you follow the steps below. So, what are we waiting for? Let’s get a team together. There are no set universal rules and no two betas are the same, but we’ve noticed clear best practices. If this is your first time running a beta, try the following steps. After some trial and error, modify it to suit your needs. Step 1: Are You Beta Ready? The book is complete. There are no placeholders or missing chapters. The book is clean. You’ve proofread using software and your own eyes. It’s tidy and formatted. You are happy (enough) with your book and mentally prepared to receive feedback. If you keep thinking you need to “do one more editing pass” before showing the book to anyone, you’re probably stalling. If you’ve gone through it multiple times, chances are you’re ready, so take the plunge! The truth is, if you aren’t comfortable with the book you present to the beta team, you’ll be more likely to disregard any of their comments because you’ll think you ‘already know’ the problem. This will end up in receiving feedback poorly and result in a sub-par book. If you’ve got a large email list or well-visited website, then this should be SERIOUSLY easy for you. Just be organized and methodic about how you approach fans for being Betas. However, most of us don’t. So, in that case, we’ll need to roll up our sleeves and start finding your groove as you start to build relationships that protract into creating legit Betas. Remember, all you need is at least 10 good strong beta readers to really make a dent. Make a Reader List: You’ll have to remind people to read, finish, and send you feedback. Get your spreadsheet ready because It’s a lot of information to track. Set an End Date: Just do it. Stream of Consciousness: The reader makes a note whenever they notice something. Pros: tons of feedback, lots of comments, and lots of things noticed. Cons: readers never really get into the natural flow of the book, it is the most work for readers, and the ratio of time spent organizing to useful comments can be low. End of Chapter (our favorite): The reader makes a note at a structured stopping point. Pros: readers get into a natural flow and there are not comments on questions you are just about to answer. End of Book: The reader comments only after reading the entire manuscript. Pros: least amount of work for the reader and gives a great overview. Cons: least amount of feedback and only largest issues will stand out. Give Additional Direction: With fiction, you can ask your readers to focus on anything: plot, tone, character voice, world building, pace, relationship believability, etc. With nonfiction, you can ask about the resonance of thesis, applicability, believability, etc. Collecting feedback is important. Even Jeff Goins has “Getting Feedback” as step 7 of his critical 10 steps on how to write a book. But organizing it all can be a mess. Each person reads at a different pace, leaves feedback in a distinct way, and has unique hang-ups with your book or the beta itself. You need to build a bulletproof process around soliciting, collecting, and triaging feedback if you want to get the full value from it. Organize your emails. You can flag any email that has even a sentence of feedback, move it to a specific folder, or copy and paste the feedback into a document. Just don’t lose it. Use that reader list and make a spreadsheet. Track who is actually reading your book. Send reminders and encouragement to read. Record and note the feedback. Keep a feedback journal or document. Filter your feedback and keep the best comments in a separate document. Separating comments from the reader lets you engage with each comment on its own merits and not as part of a series of comments. Organize your emails again. Group feedback either by which part of the book it refers to or what characteristic it applies to: plot, character, tone, pace, etc. The goal is to reveal patterns and themes. How you organize your emails will reveal different things you can work on. Notecards are your friends. There is a reason every TV writer’s room has a wall covered in them. Write down every piece of feedback you received on a notecard. Label and pile cards: plot, character, tone, emotion, etc. Sort each pile by importance: to do, to consider, to ignore. Lay the cards out, create an order, then rearrange them. Creative juxtaposition, contrast, and unintentional special relationships all may give you insights into your next revision. My partner Andrew and I built BetaBooks, a productivity tool to help authors run betas. It helps authors polish their books to a blinding sheen whether they use 3 or 300 beta readers. 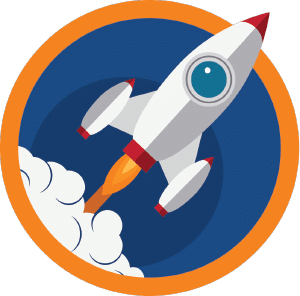 BetaBooks is a web app that combines both of digital and analog methods described above, letting you track and sort your feedback, track your readers, and respond directly to reader feedback. (I love it, but I am biased since we made it.) Basically, it makes using and managing a beta team very simple. Full Pass: A Full Pass is best suited for a manuscript that needs a bit of polishing and refining, but doesn’t need any major changes. Read through your whole manuscript again, front-to-back, incorporating the feedback you’ve prioritized as you go. Pros: You experience your entire manuscript again with new “eyes” and can focus on big picture revisions. Cons: It’s easy to get bogged down if you got a lot of feedback about different things. Focused Pass: A Focused Pass is best suited for a manuscript that needs more work (dialogue, character development, re-written scenes, etc.). Use your prioritized feedback and work on each element you need to improve, addressing each issue completely. Pros: You can move more quickly through your manuscript and work only on the parts that are pertinent to the specific feedback. Cons: You may need to make many passes, depending on how many different areas you have to work on. TIP: It’s a good idea to do a Focused Pass at the end of your Focused Passes specifically to gauge whether you’ve maintained consistency through the changes you just made. You may feel ready to publish. If not, you can run multiple beta passes on the same book. Some refer to a super late beta as a gamma reader. You may want to ask new readers to read for fresh feedback. A great way to say thanks is to acknowledge people in your book. Many authors also send a finished copy of their book to all their readers. 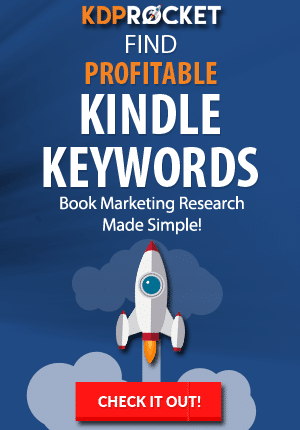 SQUEEZING THE JUICE: Book Improvement, Marketing, and Market Research! Market Research: Launching a beta gives you an amazing opportunity for some A/B marketing. Split your mailing list when you ask for readers to test out prospective pitches and see which gets the highest response rate. Here’s more on A/B testing for authors. Marketing: Turning a reader into a beta reader can turn a fan into a superfan. At BetaBooks we interact with beta readers daily. These are some of the most invested, loyal, and excited readers you could hope to find, and you are giving them more reasons to talk about you and your books. Use your beta to build excitement during your release cycle. Did you just start a beta? Tell people and they know a book is close to being released. Did you just finish a beta? They know it is even closer. It’s just one more thing to talk about when you blast your list. You can even set up contests to accept new beta readers. ULTRA ADVANCED TIP: Beta readers often explain in detail what they like about your book. Authors sometimes complain that this isn’t helpful, but understanding what people like (and LOVE) about your writing will make it much easier to plot your next step, plan your next book, and gain confidence in your skills. Finally, your beta can be your ARC. We all know how important reviews are to a launch. A beta is a great way to line up people for potential reviews. It is exactly what the Big 5 publishers do. They send out free early copies to people they think will like a new book and ask for reviews. So there you have it. Now you know everything you need to know about why and how to run a top-notch beta. So finish up that manuscript and git-er-done! We wish you the best! Paul Kilpatrick is the co-founder of BetaBooks, a productivity app that helps authors to manage their betas. 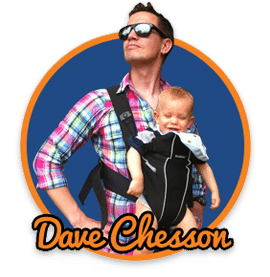 He and his partner, Andrew, spend their time talking about betas, thinking about betas, helping authors with betas, designing tools for betas, being beta readers, and running betas. 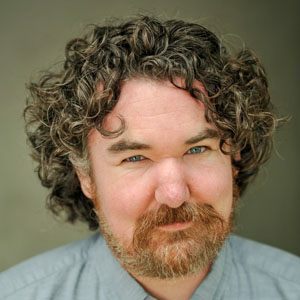 He has worked as an editor and writer in various mediums and currently focuses most of his writing on performance material. Follow him on Twitter at BetabooksDotCo or check out the BetaBooks blog for more beta tips, musing, and interviews.